Spring is finally here! What better way to get your students in the mood than bring spring into their learning. 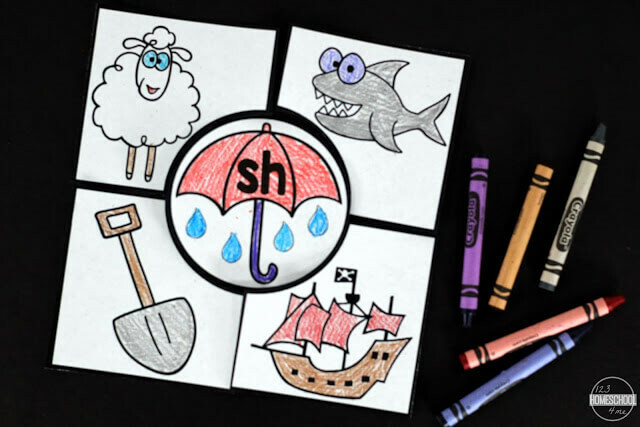 These Spring Digraph Puzzles will have your students engaged and excited about their learning. 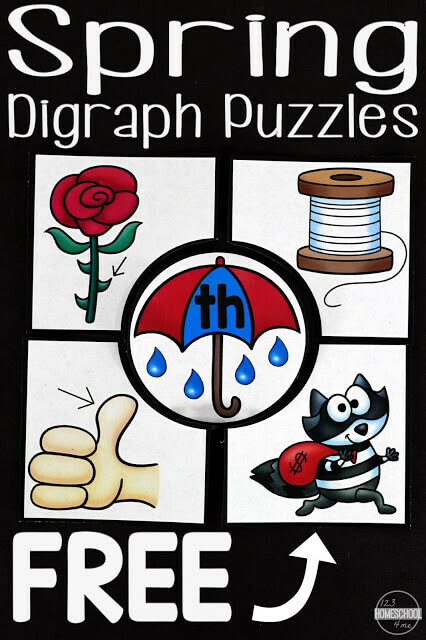 Spring Digraph Puzzles includes 5 digraph puzzles in color and black and white options. These blends cover the following digraphs: ch, ph, sh, th, and wh. Each puzzle contains five pieces. 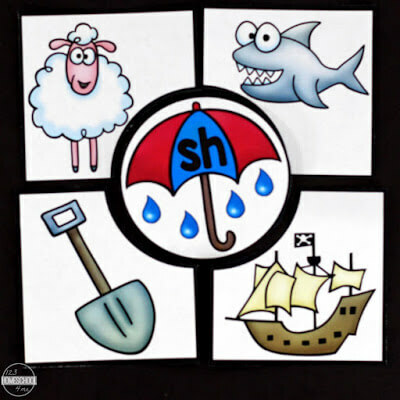 One piece has an umbrella and raindrops with the digraph. 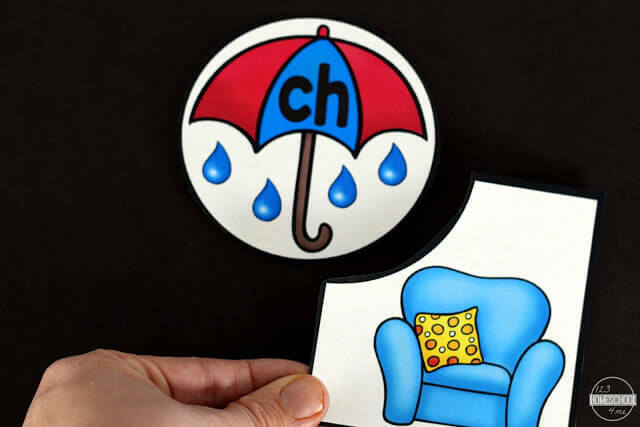 The remaining four pieces each have a different picture of something that contains the corresponding digraph. It is recommended that you print these on cardstock and laminate prior to use. This will allow you to reuse this printable year after year! Next cut out each puzzle. I prefer to cut out each puzzle with a paper cutter and then go back and cut the puzzles out with scissors. Each puzzle will have two pieces. Students will start this activity by placing all of the puzzles pieces on the floor. 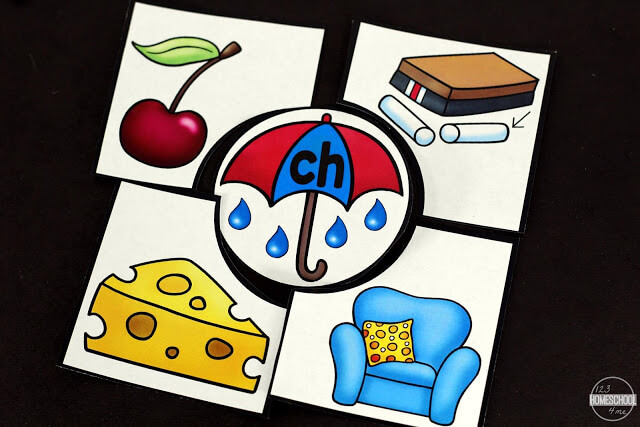 First, they will use an umbrella digraph puzzle piece. I would always encourage my students to say and trace the digraph with their finger. Next, they will sort through all of the puzzle pieces looking for the puzzle pieces that matches the the digraph. 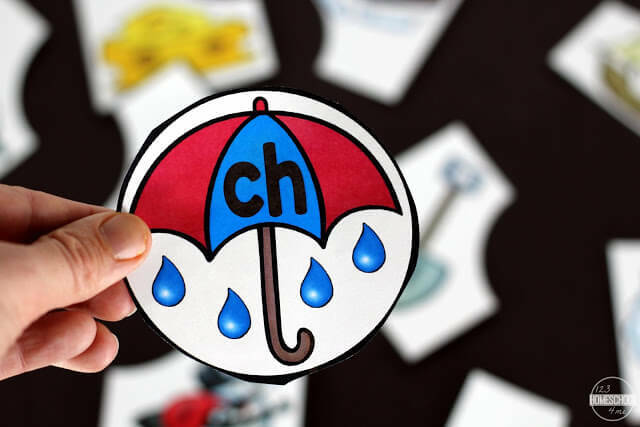 Once all four digraphs have been placed around the umbrella puzzle piece, the puzzle is complete. Students will continue these steps until all puzzles have been finished. What I LOVE about these is that there is a black and white option. This allows students to take ownership in their learning and decorate their own puzzles. I promise they will have so much fun. Younger students, and even struggling students, may overwhelmed by all twenty puzzles at once. If this is the case, it is recommended that you provide students with only a portion of the puzzles. Once they master those, then you can slowly add in more puzzles until all twenty are included.